Yesterday (July 21, 2017), I did some work with teachers on evaluating materials about Native peoples. In the Q&A, someone asked if there were some topics that ought not be given to young children. In the years since I've been studying children's books, that has often been a heated discussion. Some people argue that certain topics are "too hard" for children. There's an effort to "protect" them from "harsh" realities of the world. Who, though, is being protected? 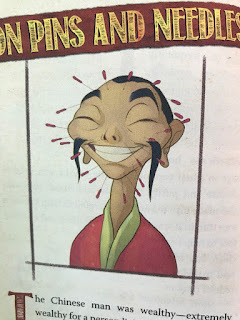 Today's post is about two books--both of which have characters who speak the truths of history to the children in the books. First up is Monica Brown's Lola Levine and the Vacation Dream. I read Monica Brown's Lola Levine and the Vacation Dream this morning. 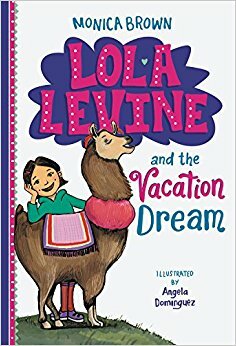 Lola Levine and the Vacation Dream is the 5th book in her very popular Lola Levine series of chapter books (see her post at Latinx in Kid Lit for some background on why she created this series featuring mixed race characters). 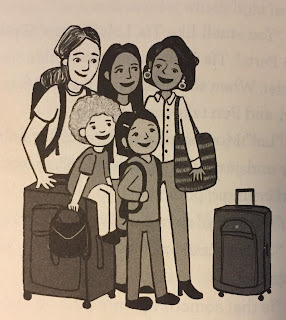 In Brown's story, Lola, her brother, and their parents are going to Lima, Peru, where her Tía Lola lives, and where that aunt and Lola's mom grew up. Lola's little brother is in kindergarten. Lola is in second grade. Their age is one reason I began this post with the question about appropriate content for children. Their aunt doesn't hesitate to talk with them about their Indigenous ancestry and that history in the matter-of-fact way that happens in many Native families. 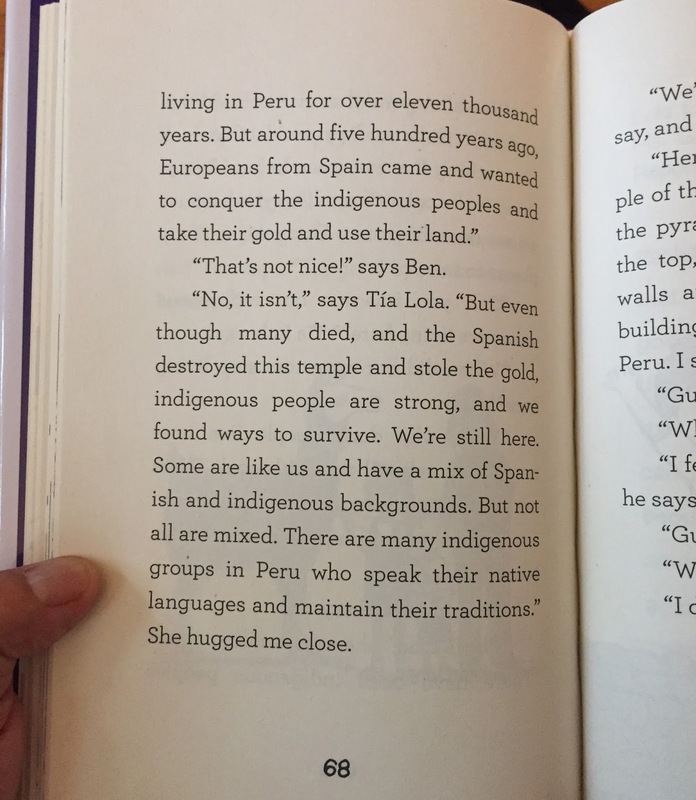 "But around five hundred years ago, Europeans from Spain came and wanted to conquer the indigenous peoples and take their gold and use their land." "That's not nice!" says Ben. "No, it isn't," says Tía Lola. "But even though many died, and the Spanish destroyed this temple and stole the gold, Indigenous people are strong, and we found ways to survive. We're still here. Some are like us and have a mix of Spanish and indigenous backgrounds. But not all are mixed. There are many indigenous groups in Peru who speak their native languages and maintain their traditions." That page and ones like it in Lola Levine and the Vacation Dream make this book a stand-out. It is definitely going onto my Best Books list. Lola's aunt is awesome! 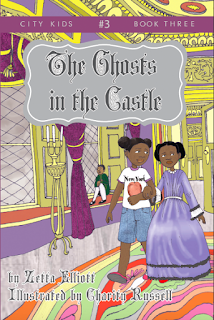 She reminded me of Aunt Jocelyn--or, Aunt Joss, as Zaria (the main character) calls her--in Zetta Elliott's The Ghosts in the Castle. "If I invite you into my house, you are a guest. Right?" 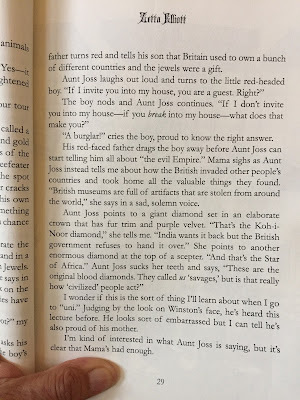 The boy nods and Aunt Joss continues. "If I don't invite you into my house--if you break into my house--what does that make you?" "A burglar!" cries the boy, proud to know the right answer. 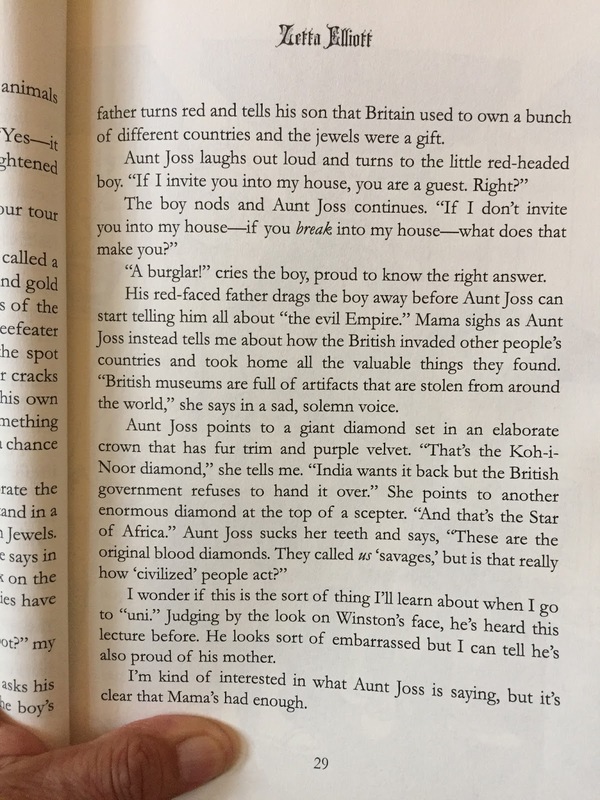 The boys father takes him away before Aunt Joss can start talking about empire, invasion, stolen artifacts and words like "savages." See what I mean? 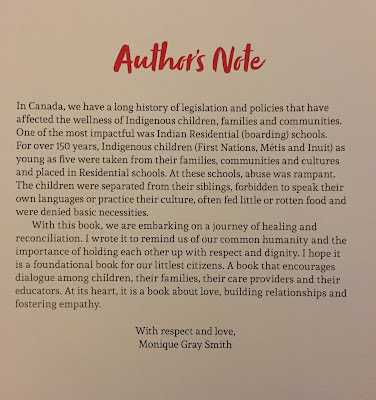 Through these two aunts, Brown and Elliott are telling truths that empower children who too often see their heritage denigrated or misrepresented. Click over to Cynsations and read an interview, there, of Elliott. And then either buy these two books, or get them from your local library. And if they're not on that library shelf, speak up--like Tía Lola and Aunt Joss! And tell others about these books, too. They're terrific! Lola Levine and the Vacation Dream is a 2017 book from Little, Brown; The Ghosts in the Castle is a 2017 book from Rosetta Press. 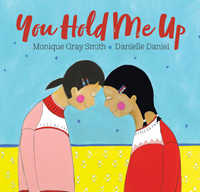 Due out in October of 2017 is Monique Gray Smith's You Hold Me Up. 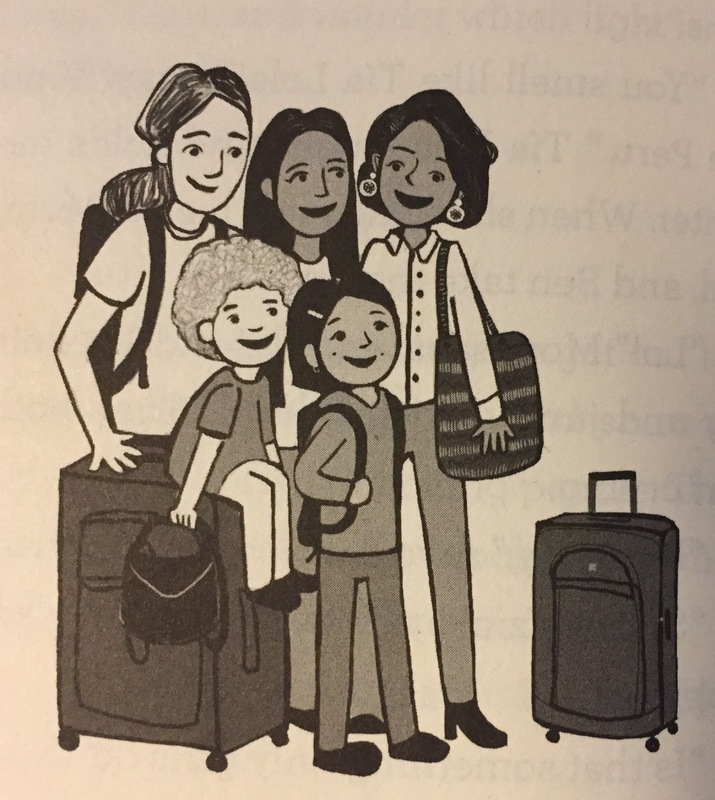 Published by Orca, it is a picture book about ways that people can hold each other, and hold each other up, by helping each other, or playing together, or singing, or cooking. Smith's text is heartwarming! And the illustrations, by Danielle Daniel's, reflect Native people in the present day. 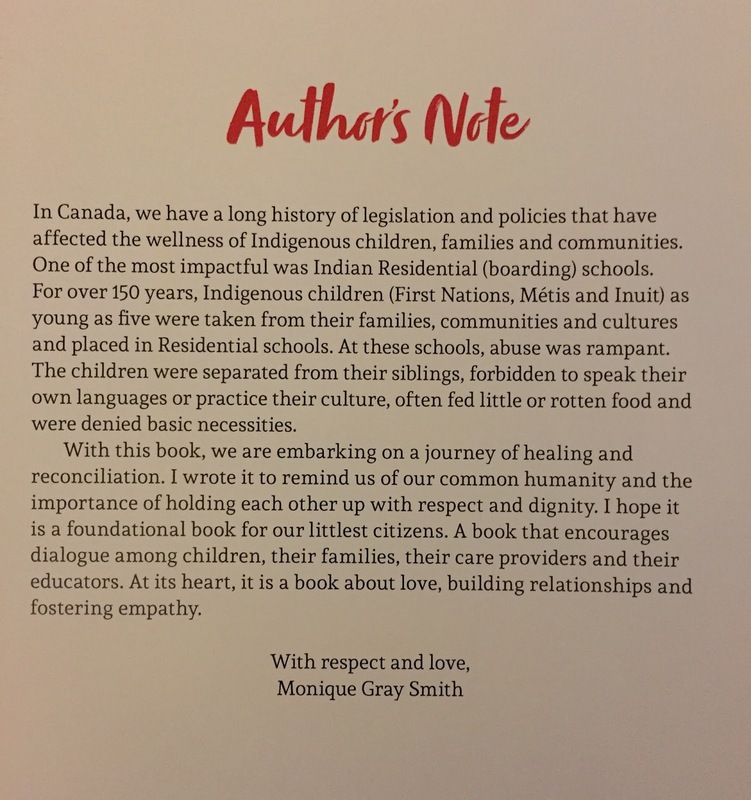 Like My Heart Fills With Happiness, this new book by Smith is one that parents, grandparents, pre-school and elementary teachers, and librarians, will want to have on their shelves, but I encourage everyone to read Smith's note in back and -- if you don't already know about it -- learn all you can about residential schools in Canada, and boarding schools in the United States. At 5:06 AM on July 21, 2017, I used twitter to thank Elisa for that review. I tagged the publisher. "We should never have allowed these images in a book by Prufrock Press. We are deeply sorry." "This is inexcusable. We are in the process of destroying that inventory and replacing it with a corrected edition." I assume they know that it is not just the images, created by Eliza Bolli, that are a problem. The text, by Stephanie Bearce, also needs attention. The editor, Lucy Compton, did not see the problems in text or illustration. Neither did any of the "experts" who reviewed it at the Prufrock page for the book. Elaine Wiener, a gifted education communicator, missed it. So did Terri Schlichenmeyer, of New York Parenting, and Lori Cirucci of NSTA Recommends (NSTA is the National Science Teachers Association), and Paula Young of Science-Nook, and Muhammed Hassanali of the Seattle Book Review. If you go over to the Goodreads page for the book, you'll see lot of praise there, too. Prufrock is an educational publisher. Looking at their products, I see page after page of materials for teachers. 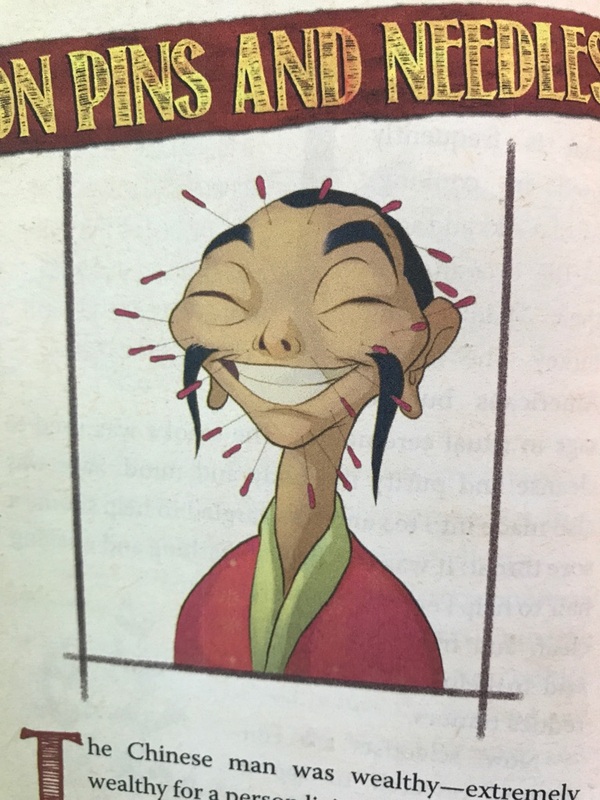 There's other children's books, too. There's one on the Wild West and one on the Civil War. What, I wonder, lurks in those two books--and the professional materials, too? I'm glad that Profrock is going to destroy this inventory and replace it. For that--this post about the book and their response is going on to the Revisions to Racism page here on AICL. John Demos has a book coming out in October of 2017 from Amulet Books (an imprint of Abrams). Some of you who read history books may recognize his name because of his book, Entertaining Satan, or because of his Unredeemed Captive: A Family Story from Early America. Demos is a history professor at Yale, but I don't know if he's teaching there or not on a regular basis. 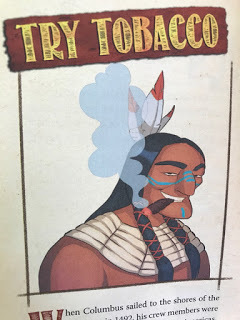 In doing the background work for my review of his Puritan Girl, Mohawk Girl, I see that he did another book for young readers, back in 1995. That one is The Tried and the True: Native American Women Confronting Colonization. I'll see if I can find a copy of it. Eunice Williams was a real person, born in September of 1696. As a child, she was captured in a raid. The story Demos tells in Puritan Girl, Mohawk Girl is described (on the back cover of the ARC) as a historical novel inspired by The Unredeemed Captive. His Unredeemed Captive is cataloged as biography. Todays "First Look" is the first in a series of blog posts I'll do on Puritan Girl, Mohawk Girl. The words "PURITAN GIRL" are in black font. They're easy to see. The words "MOHAWK GIRL" are in a tan font. They're harder to read. I don't know what the cover designer was going for with the two different colors but I find the tan one less prominent. Visually, that makes Puritan more visible than Mohawk. Look, too, at the 'R' in the first use of Girl and the R in the second use. See the difference? This reflects a design element in which font style is used to signal "other." You may have seen this on some book covers--where the shape and design of letters are used to visually signal "other." 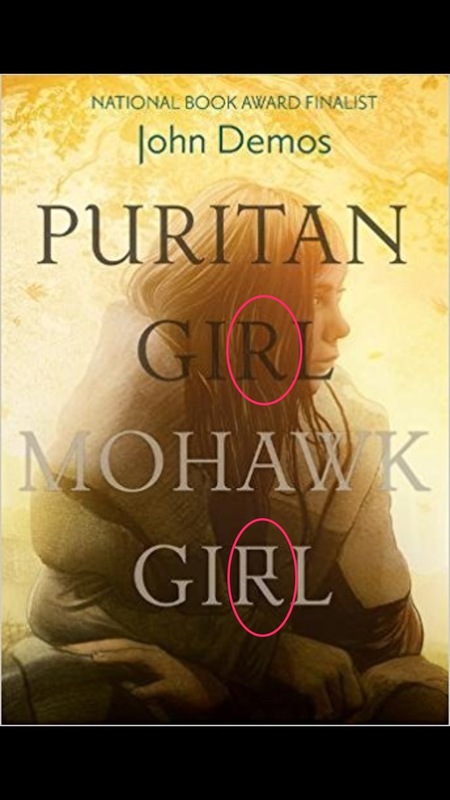 The R in the Puritan girl is what most would recognize as the way R's look, but the R in the Mohawk girl is angular. Visually, this different treatment of the R signals difference in how we're to think of these two peoples. Some would see the difference as good; others would not. What are your thoughts on these visual ways of setting Puritan apart from Mohawk? When Christopher Columbus and other explorers got to America from Europe, they found millions of people already living there. Right off the bat, I see problems there. First,"explorers" is the default word for Columbus and other "explorers." That idea--of exploration--is generally seen as a good, or, something positive. The word 'explore' means to investigate, study, analyze, become familiar with. The word "explorer" means one who explores. But, I think we all know there is more to Columbus's voyage than "explore." He was looking for something that would make him, those who sponsored his voyages, and others, too, wealthy (and wealthier). Second, Demos used "America" to describe a place that wasn't--at that time--called America. The millions of people who were living there when Columbus arrived had their own words for it. The word "America" -- according to the Oxford dictionary -- dates back to the early 16th century and is believed to be a derivation of the name of Amerigo Vespucci, who sailed along the west coast of South Africa in 1501. They saw America as a "new world." They settled on the land and claimed it for themselves. They started farms, villages, and towns. They organized "colonies" that belonged to their home countries in Europe. They didn't ask permission from the Indians; they just went ahead with their plans. They viewed Indians as inferior to themselves--as "savages" living in a primitive way. Demos is following a well-trod way of depicting this "new world." By that, I mean he fails to note that Native peoples had farms, villages, and towns before Europeans got here. In the next paragraph he says that the two groups had certain advantages over the other, which is accurate, but what he says pretty much affirms the "primitive" and inaccurate imagery so many people have. More about that, later. I'm also curious about using the idea of "asking for permission" to characterize what happened. It doesn't work, right? Let's bring it to something of the present day. Say you have some acreage that someone thinks you're not using. Let's say someone from Spain comes over, sees it, and thinks they'll build something there. They knock on your door and say "with your permission, I'd like to build my house on that spot over there." See why the idea of "permission" doesn't work? I gotta dash off for now to do some other work. I welcome your comments on what I've said so far about this book. 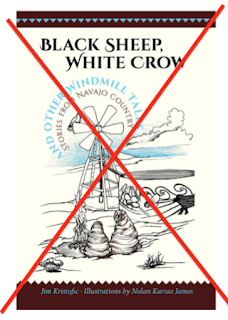 Debbie--have you seen BLACK SHEEP WHITE CROW by Jim Kristofic? 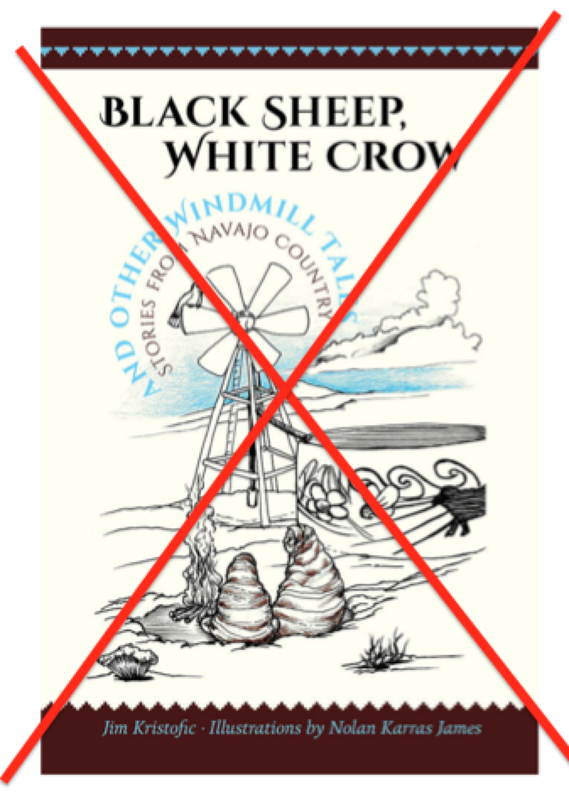 A reader writes to ask if I've seen Jim Kristofic's Black Sheep, White Crow. Published in 2017 by the University of New Mexico Press, I'm hoping that anyone who buys it will read the preface carefully and then set it aside. By that, I mean--I hope they choose not use it with kids, as-is. Some stories were told to me while I was growing up on the Rez. Some stories are blends of my own imagination with the traditional ideas of the Animal People and the lessons they can teach. Did Kristofic have permission from the tellers to publish the stories told to him? If yes, how did he get that permission? Did he use the tired and exploitative "if we don't do this, the stories will be lost forever" approach? Does Kristofic realize that--in blending his imagination with those stories--he is, in effect, assuming that he has the right to tinker with the religious stories of another peoples' traditions? Of course, that's been done a lot, so he may think it is fine. I do not, and neither do a lot of Native people. Too many writers think they can just add, willy nilly, to our creation stories. That they can come up with their own stories, based on ours. That's disrespectful to us. Maybe Kristofic would do that cherry picking sort of thing to the Bible, too, but would he then label the stories as "Bible Stories"? I think not. They wouldn't be Bible stories. They'd be his fictions. Because of the preface alone, I'm tagging Kristoff's book with a not-recommended. I know I'll catch heck from some people for saying "not recommended" before I've "read the whole book" but that's ok. I stand on what I said. When someone who is not of the people a book purports to be about, the act of rewriting and adding to that peoples stories and then labeling them as stories of those people, is not ok. It is, in my view, misleading to the reader and disrespectful to the people who shares stories with the writer. In summary: I do not recommend Jim Kristofic's Black Sheep, White Crow.